Warm weather is here, and you know what that means: a to-do list as long as your arm before the season's first backyard BBQ. With all the weeding and pruning to do in the garden, it's easy to ignore everything else in your backyard. Odds are your outdoor furniture has seen better days, and your fence could probably use a knew coat of paint. 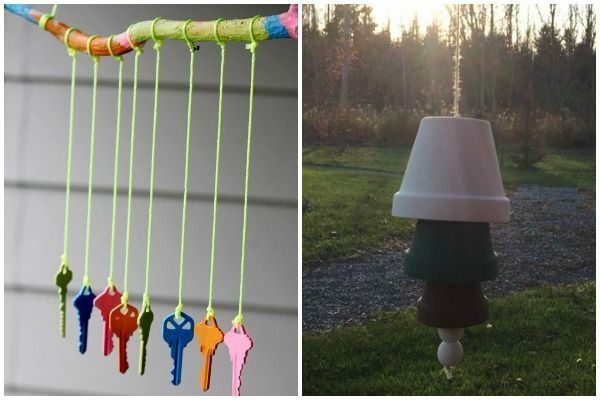 While you're feeling handy, we have a few stylish ideas for easy and affordable backyard projects. 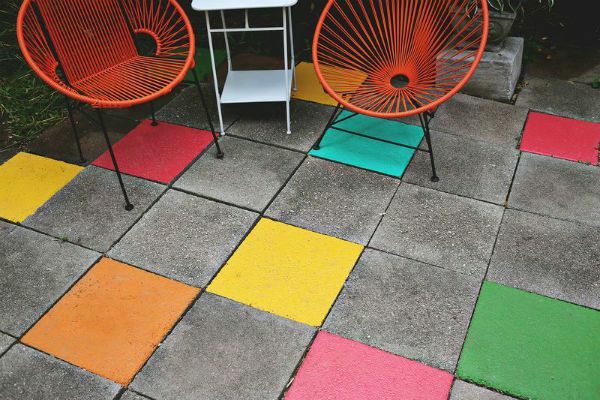 There's something on this list for every backyard and budget, so take a look. 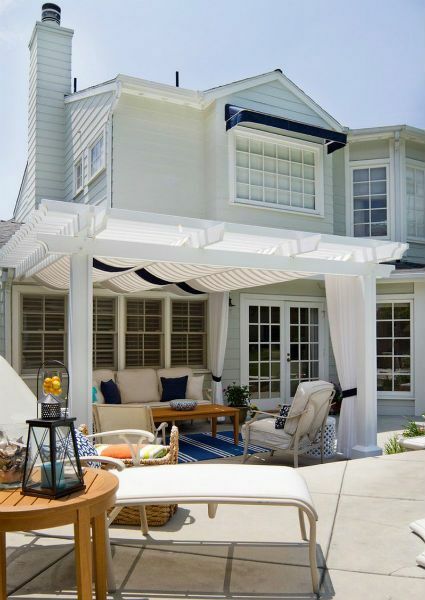 Nothing says relaxation like a cozy seat in the shade on a summer day. 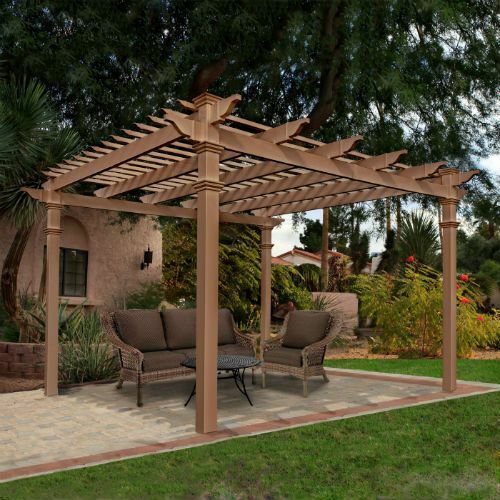 Spend as much as little as you want, but don't forget to include a gazebo or shade, seating, and a table to set cold drinks on. 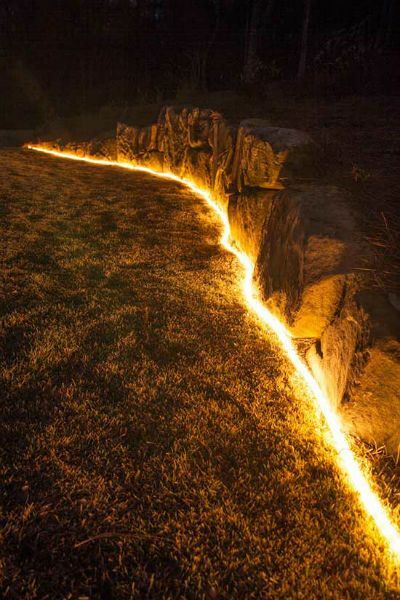 All it takes are some solar-powered rope lights to impress your guests when the sun goes down. 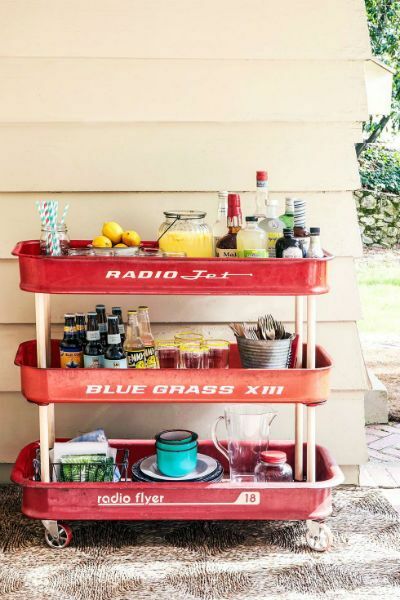 It's cute, kitschy, and guaranteed to make your neighbors jealous. This project is simple and gorgeous. Antique buckets and tins work just as well. 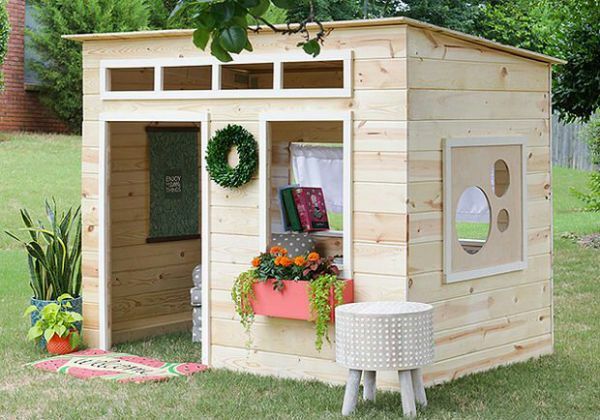 Big box stores sell these shady spots, but the handyman in your life could make one too. 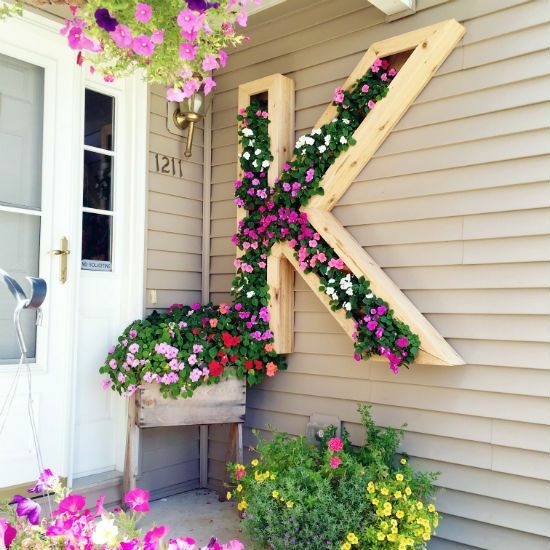 This takes a little woodworking knowledge, but it gives your garden a personal flair. It only takes a few minutes to stitch together, but looks fabulous. 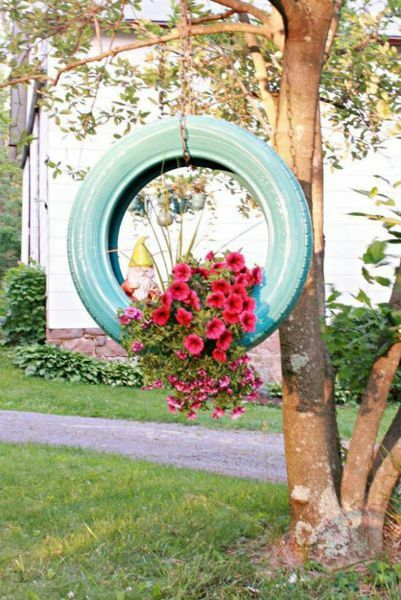 Re-purpose this old farm equipment as a great place for backyard flowers. I know, it's a shame to tear apart these antique wagons, but the cold drinks are worth it. 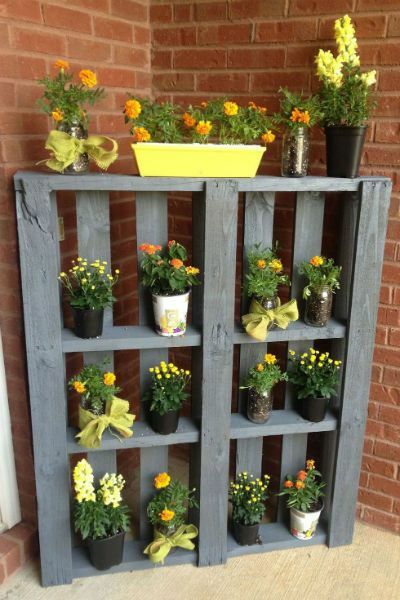 You can get these wooden pallets for free at furniture stores by asking nicely, then turn them into a lovely flower display. 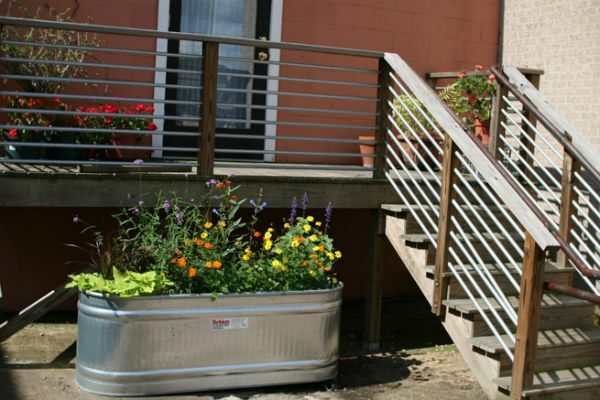 Here's a great way to grow flowers or herbs while saving space in a small yard. 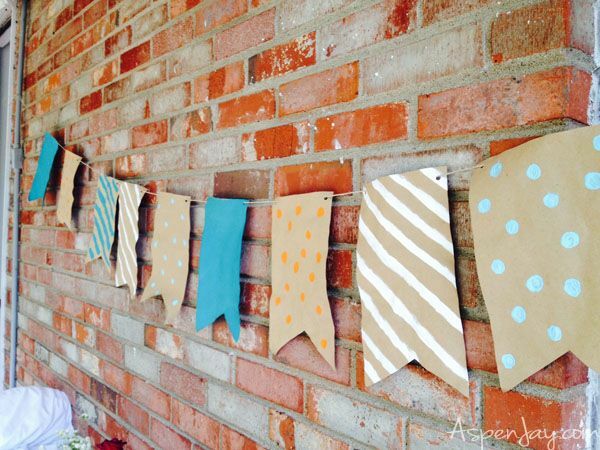 Here's a simply DIY Father's Day gift he's guaranteed to like. 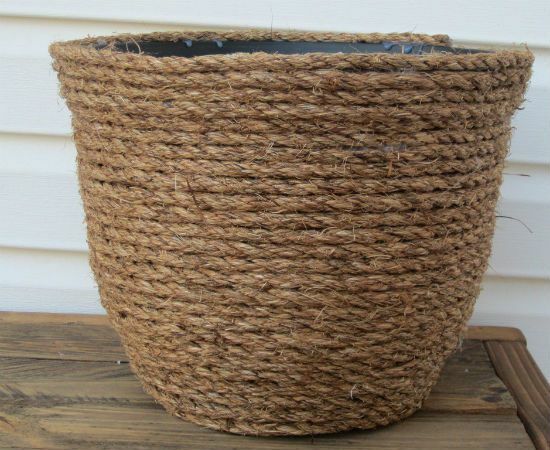 I just think these look much nicer than regular old pots. All it takes is a hot glue gun and some patience. 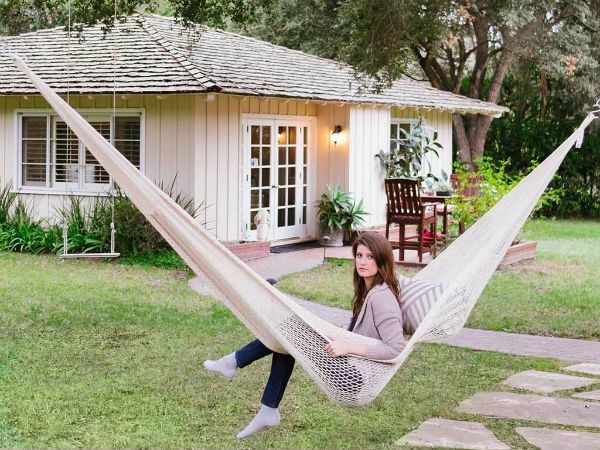 Is any backyard really complete without a hammock? 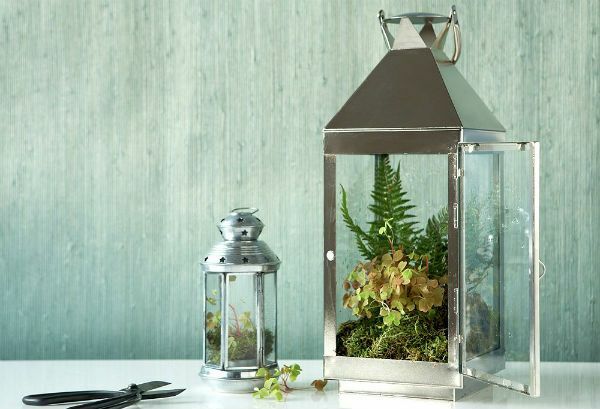 It's a cute little miniature garden, and a handy way to grow herbs or succulents. 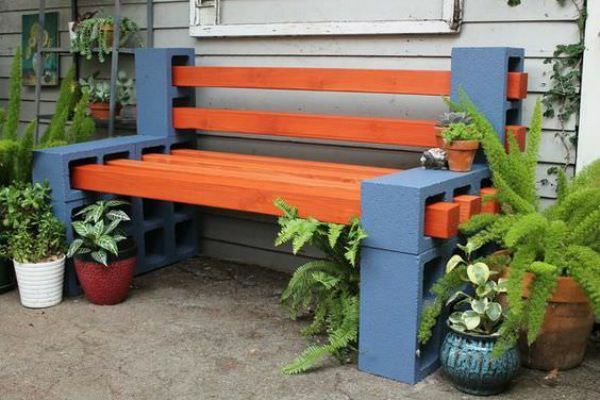 Make a stylish connection between two parts of your yard with this low-cost project. Such a simple project, but the results speak for themselves. 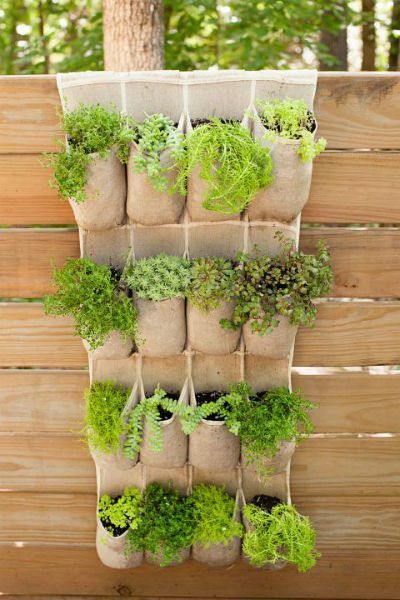 Here's a crafty and cheap space-saver for small gardens. There are all sorts of fun styles to make, including our very simply design. 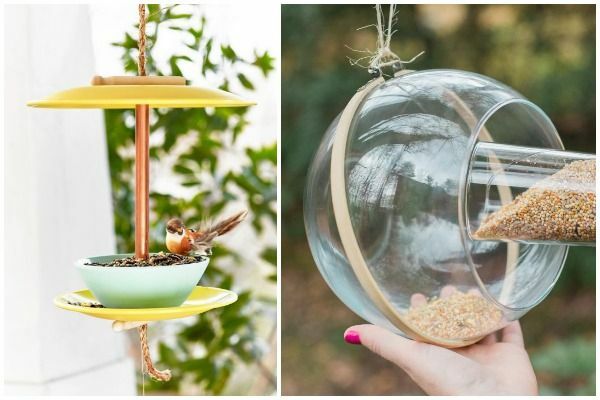 Best of all, they attract pretty wild birds to your home. 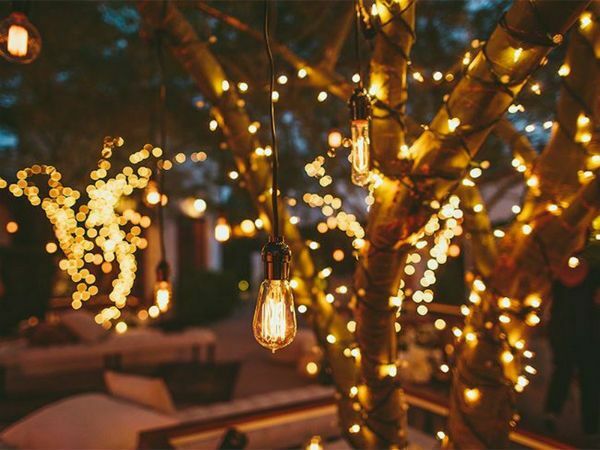 These easy decorations give your backyard a festive feel, no matter what the occasion is. You can pick up these vintage boxes for dirt cheap at most antique stores. They're a little more work to set up than regular fairy lights, but the effect is really pretty. 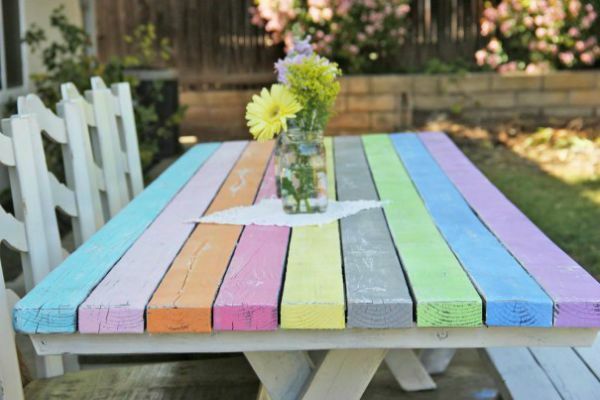 Give your rusty outdoor furniture a unique makeover in the style and color of your choice. 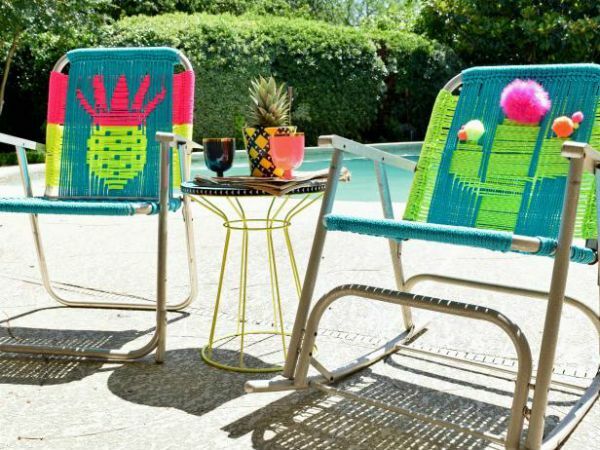 A quick trip to the hardware store will magically transform your backyard all summer long. 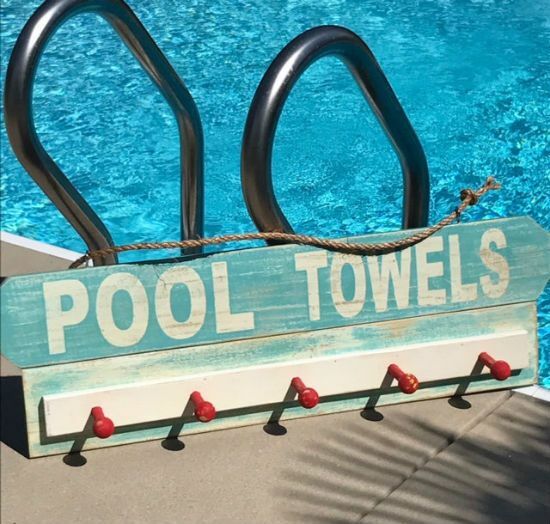 If you have an outdoor pool (or even a sprinkler system) it's worth building a handy rack for towels and wet bathing suits. Nothing beats the relaxing sound of wind chimes. I have a few sets at my home, and I like my homemade ones best. 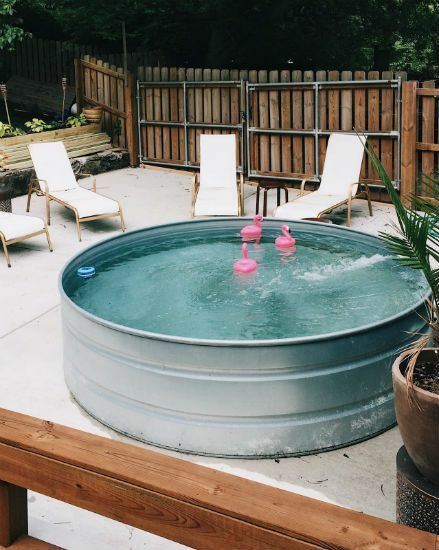 Stay cool this summer in a "hillbilly hot tub," this year's biggest backyard trend. 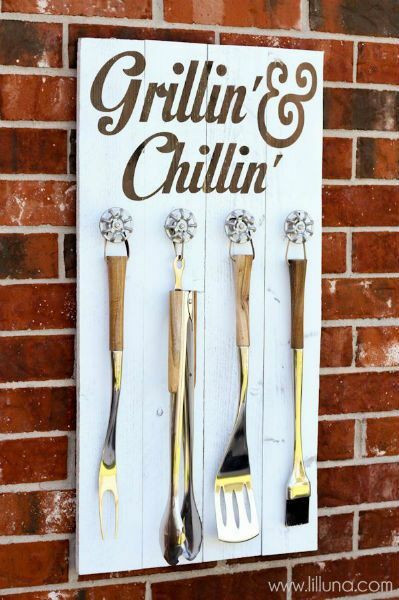 These are perfect for reading in the shade or - let's be honest - catching a quick afternoon nap. 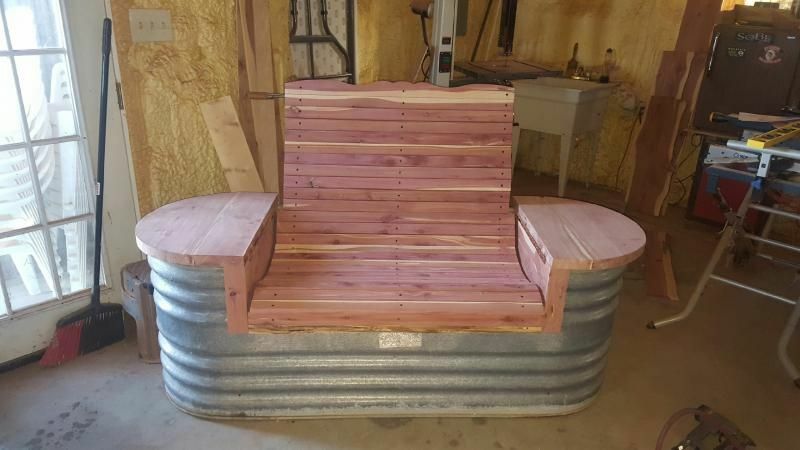 Take your pick: you can buy these cozy outdoor features at hardware stores, or build your own for less than $100. Just make sure backyard pits are allowed in your town/city before you buy/build. 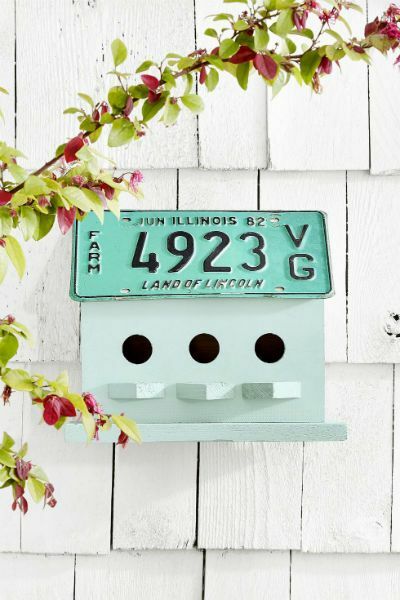 Show off your state pride with this crafty DIY birdhouse. We can't guarantee yours will look this good, but it's always a nice addition if your kids are still young. 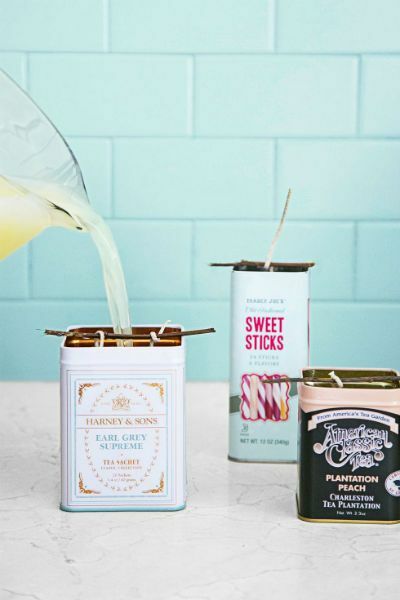 Did you realize you can make citronella candles at home? In fact in these stylish tea tins they're re-useable. 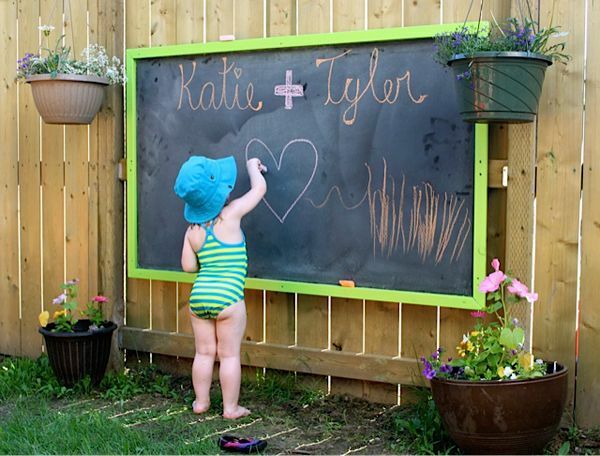 There's still nothing more fun than a sandbox, and they're very easy to make. If you ask me, this is a waste of a perfectly good tire swing. But it's still cute. 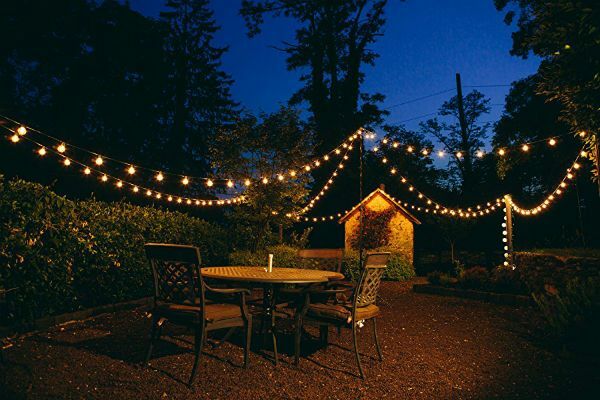 Whether your yard is big or small, a string of these lights is the perfect way to decorate. 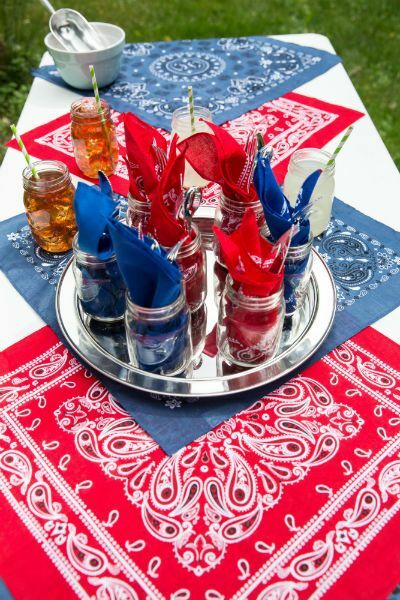 This is an easy way to entertain kids at a party, or play fun backyard games. 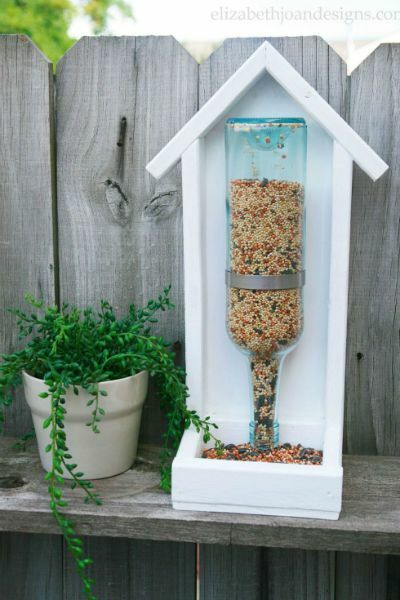 Have any empty bottles laying around? 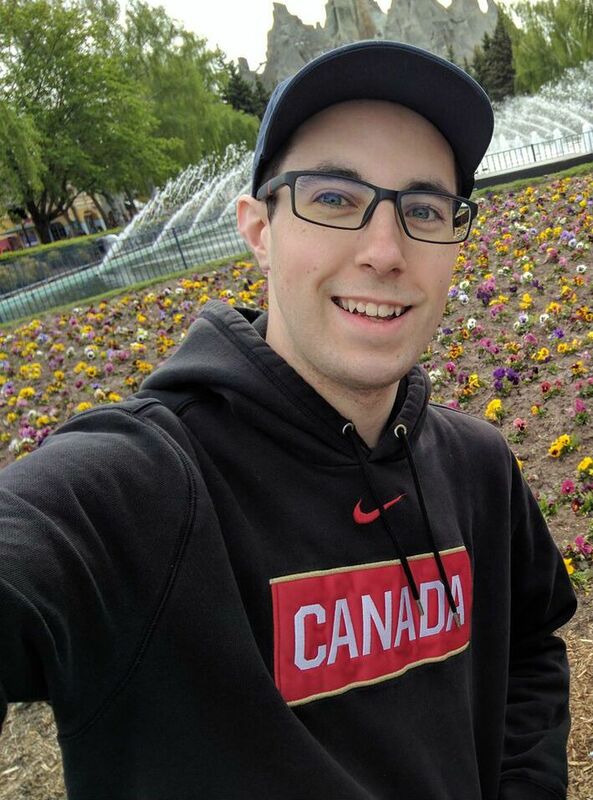 Be honest. 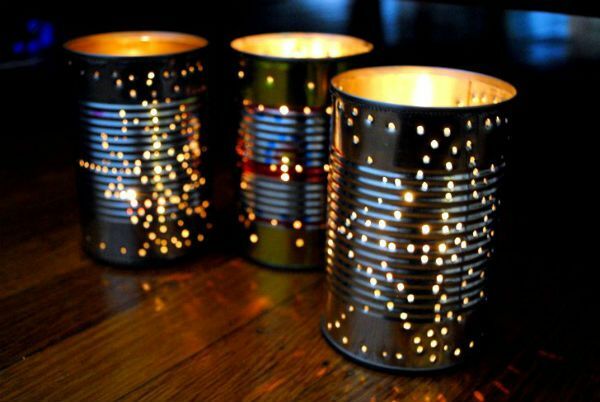 Well this is the perfect way to "upcycle" them. 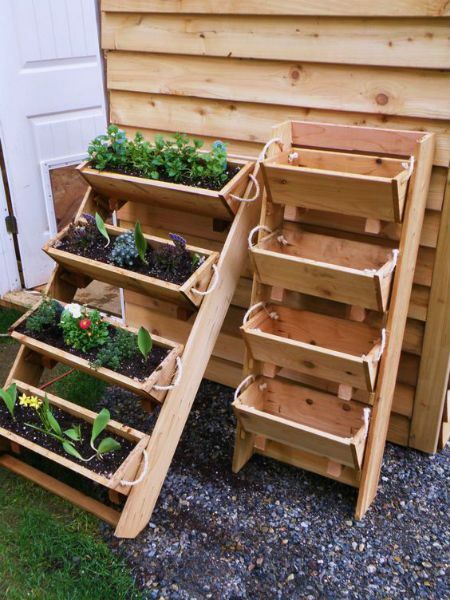 Here's another space-saving design for gardeners without gardens. 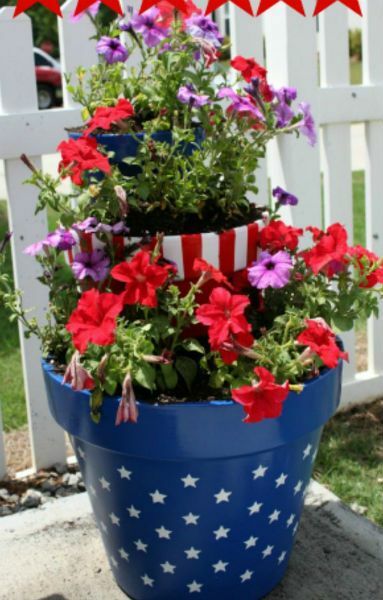 With one look at this easy DIY project, your friends will be begging you to make them one. 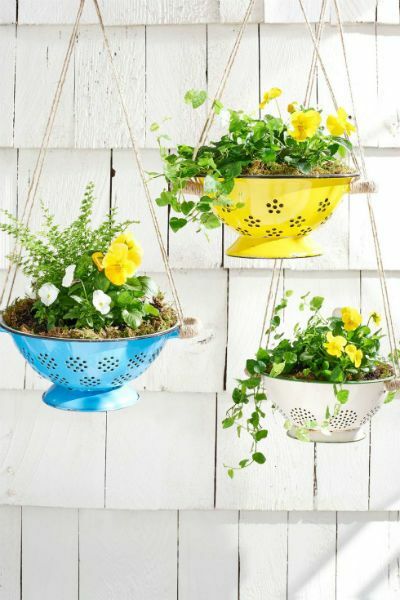 Here's a handy hanging planter that looks great and will last for years. Yes, stock tanks have plenty of uses. The smaller models are just the right size for a bench. 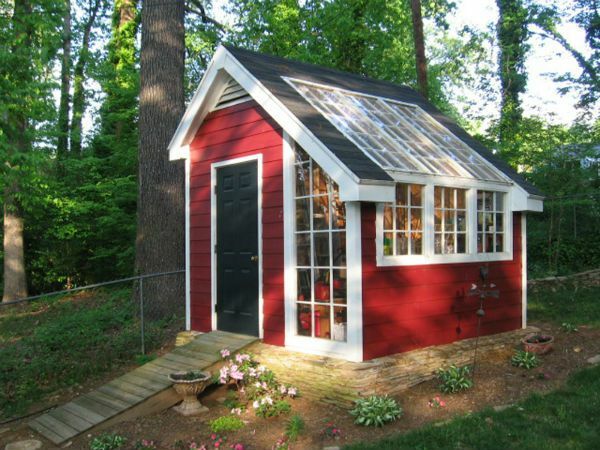 If you don't have one yet, this could be the time to build one. 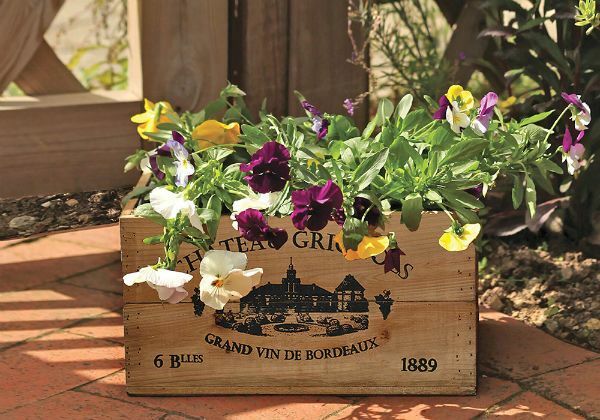 It keeps your yard clutter-free, and with decorative touches like French windows they can actually look nice. 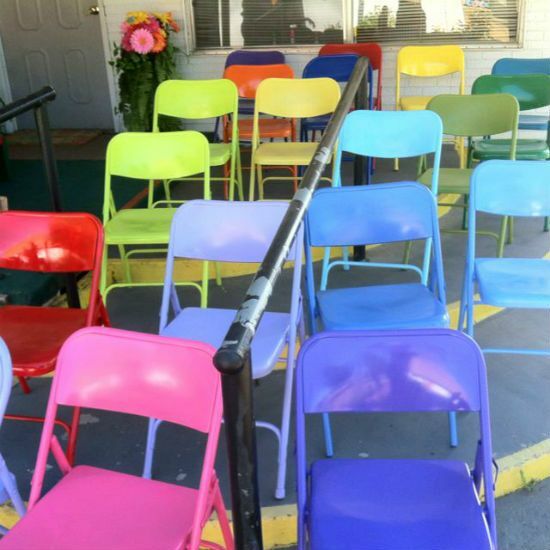 How do you give ugly lawn furniture new life without breaking the bank? 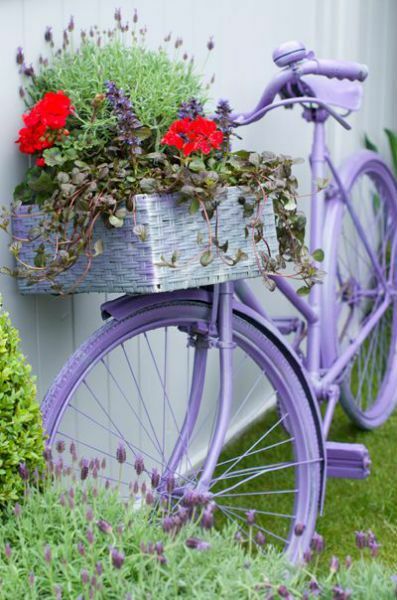 A colorful makeover like this. 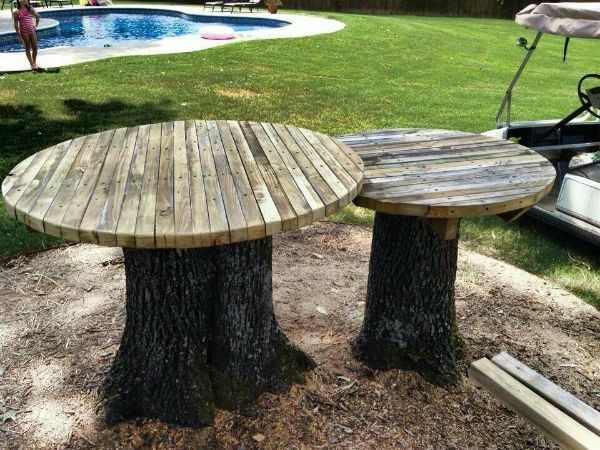 If you've been meaning to get rid of that dead tree in your yard, this could be the perfect project. 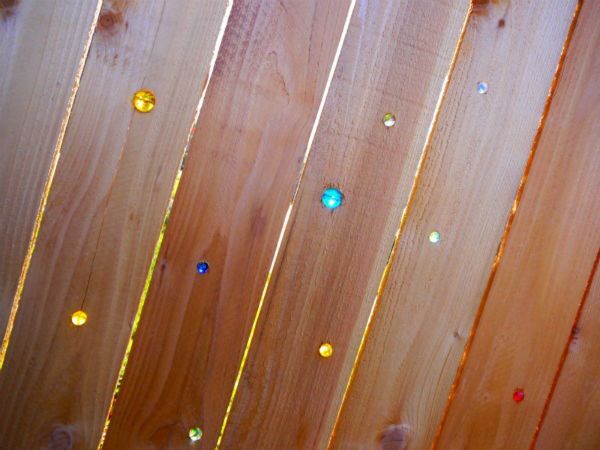 This creative project combines colored marbles and a wide-bore drill to turn your fence into a conversation piece. 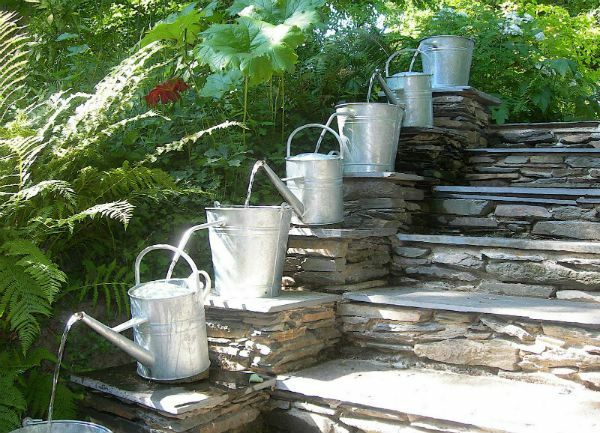 You can order these stunning water fountains online, but if you have a plumber in the family they can probably rig one up too. 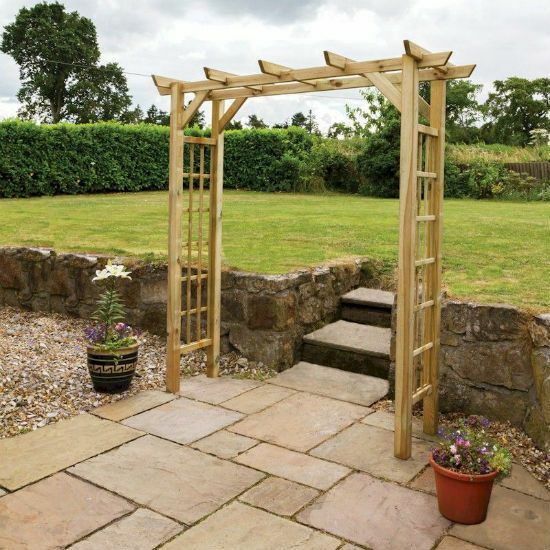 If you have a bigger yard with multiple sections, an arch is the perfect way to split them up. Here's one more way to recycle those empty wine bottles: a more grown up take on the tiki torch. 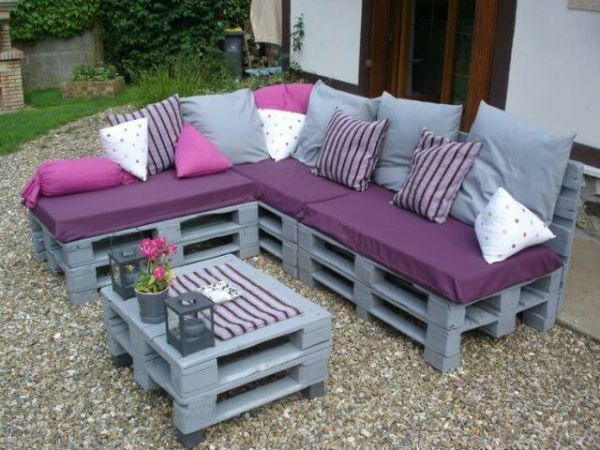 It's cheap, easy to make, and comfortable (once you put the cushions on). 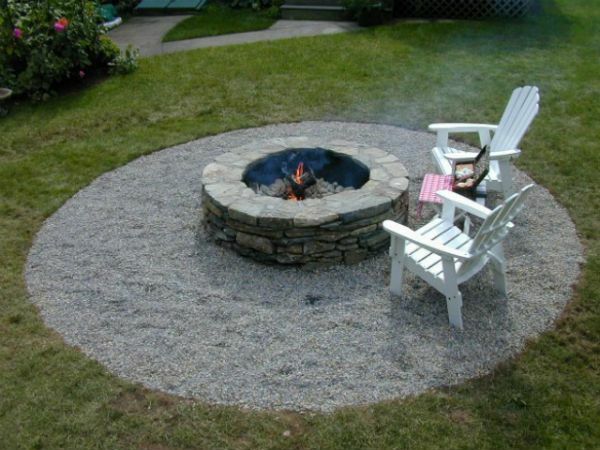 This is an easy way to take some drab backyard furniture and make it stand out. 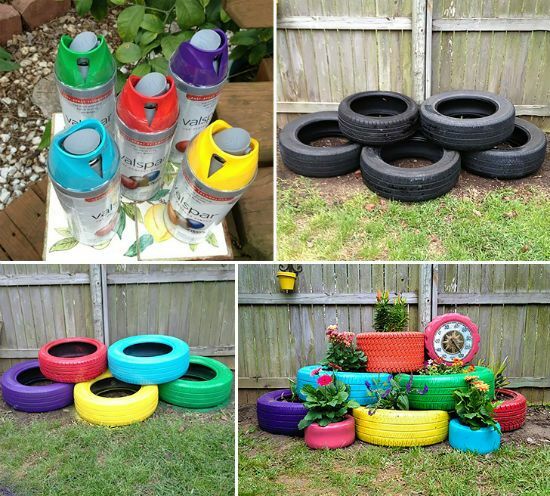 These cute planters are also good for the environment: just spray paint a few tires and keep them out of the landfill. 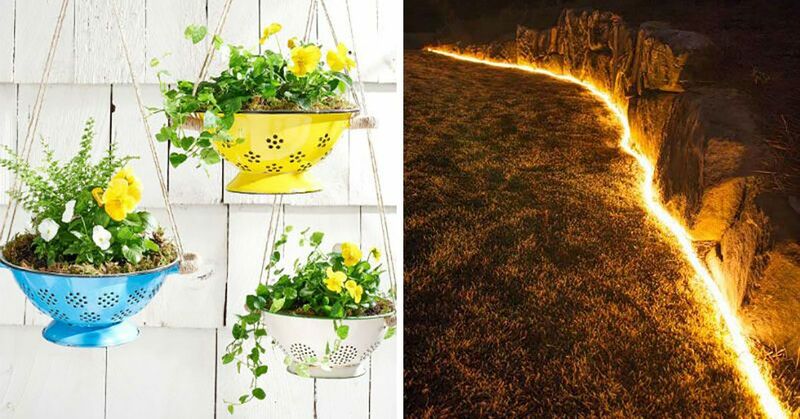 Which of these projects are you going to try?